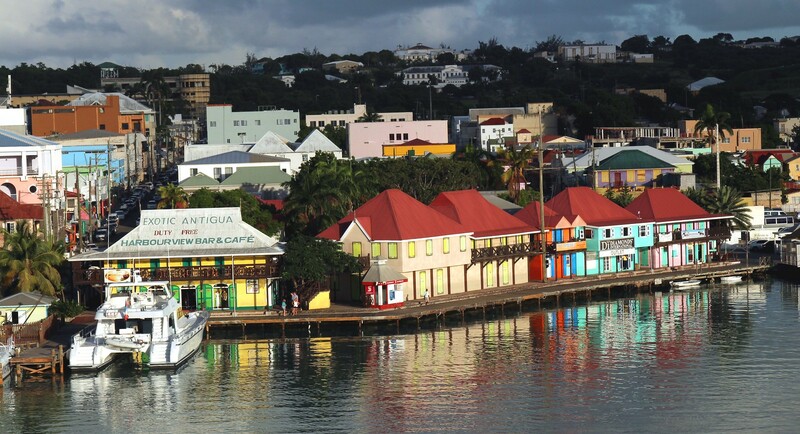 One of the islands that make up the Caribbean country of Antigua and Barbuda, this island has a gorgeous, craggy coastline of white sand beaches and cute harbor villages. Spend your days laying on the beach and exploring the historic harbors. In St. John’s, you can pick up the items for a picnic at the Saturday Morning Market and search for handmade souvenirs. Many celebrities are fans of Antigua and have beach houses in this country: Eric Clapton, Ken Follett, and Giorgio Armani are just a few of them. Author Jamaica Kincaid was born and raised in Antigua and frequently writes on her life there. White sand beaches lined with palm trees create the perfect romantic backdrop for your next getaway. Lie in the sun and toast your significant other on your good taste in vacation destinations with a fruity beverage. Just steps from the perfect beaches and Caribbean tunes, you’ll find yourselves in the English Harbor, which looks like it was plucked straight from jolly old England. Stroll the narrow lanes, have a little lunch, and then head back to the beach for an afternoon in the sun, capped with sunset cocktails. In the mood for a romantic dinner? There are many restaurants serving a mix of English and West Indian cuisine. If you’re in the mood for something warm and hearty on a rare rainy day, seek out a piping hot bowl of lobster bisque and a steak or stewed lamb with rice. If you prefer something lighter on a hot and sunny day, consider some grilled shrimp or barbecue. For dessert, treat yourselves to a nice piece of Caribbean sugar cake. 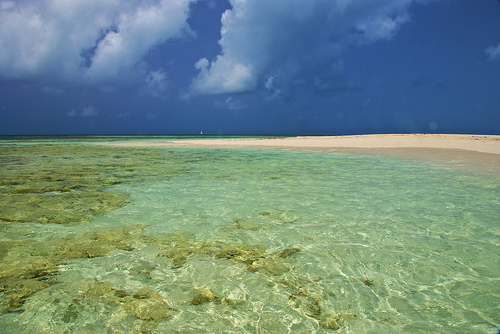 Dive into the perfect blue waters for some of the best that Antigua has to offer. Take the time to learn or practice SCUBA diving skills while touring the colorful coral reefs hidden among the many rocky inlets of this misshapen island. Not quite adventurous enough for that? Go snorkeling to see all the excitement from a distance. If you’re looking for a scenic drive, take the Fig Tree Drive through fishing villages and mountains. 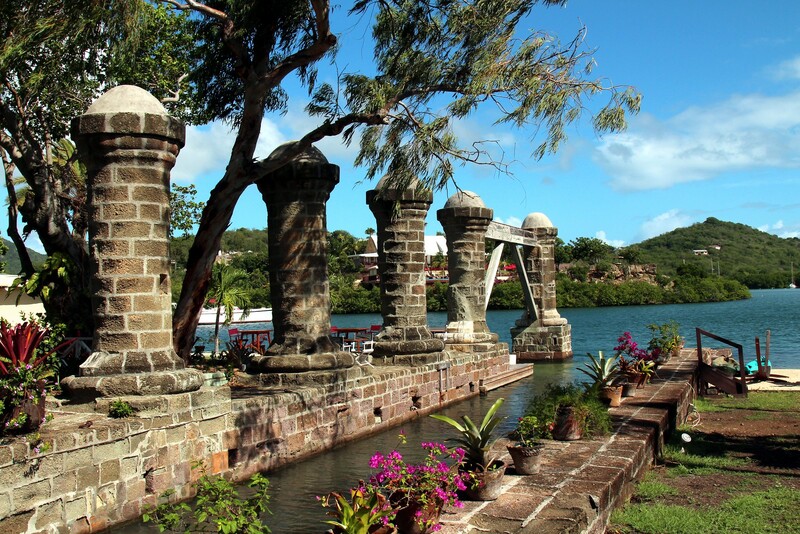 But know this: fig trees are actually banana trees in Antigua. If you’d rather see the landscape on foot, there are many well-tended scenic footpaths to explore. Some are flat and easy while others take you up steep slopes but reward you with a panoramic view of the island and the sea beyond.